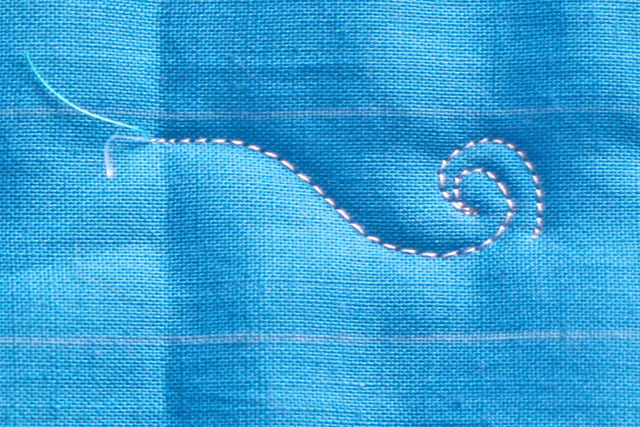 To stitch The Wind in a border, draw two lines to serve as guidelines or “rails”. Any width will work. In the sample below, the rails are 1 inch apart. 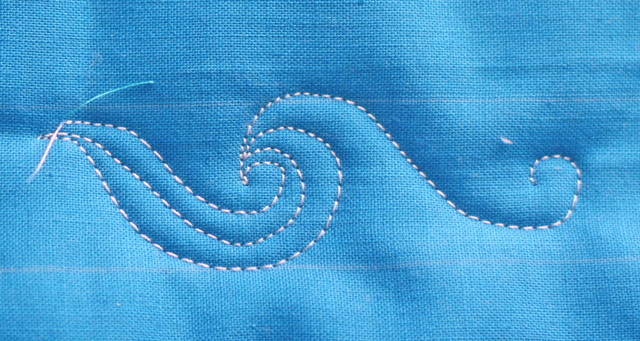 Stitch to the OUTSIDE of your spiral and echo quilt back to your starting point. I call this end “the tail”. Now echo quilt — stitching toward your spiral. 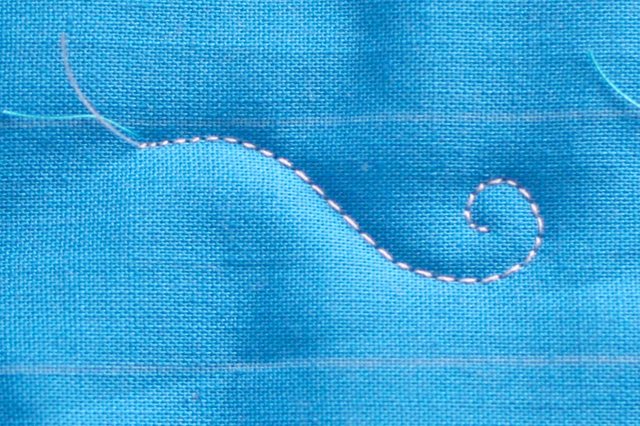 Complete your stitching just above your first spiral. Off-setting the stitches will prevent a build up of stitches in one point. 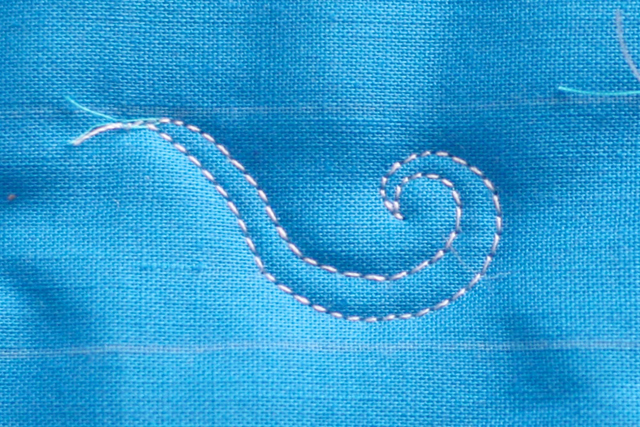 Now stitch nearly straight up to the top rail and begin your next wave stitch. 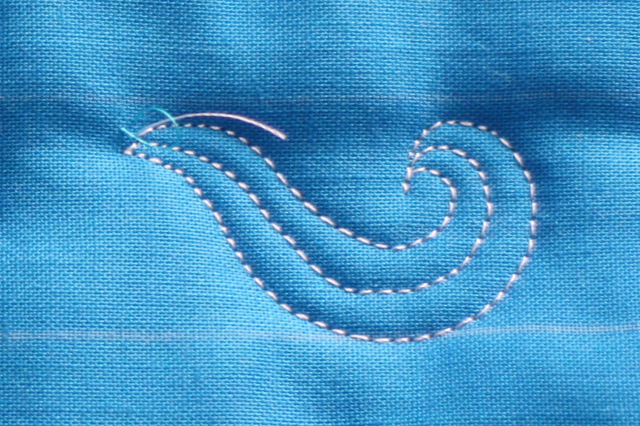 When you stitch the “tail” of the second Wind motif, “attach” it to the curved area of the previous motif. Again, this prevents a build up of stitches and avoids the “thready” look. 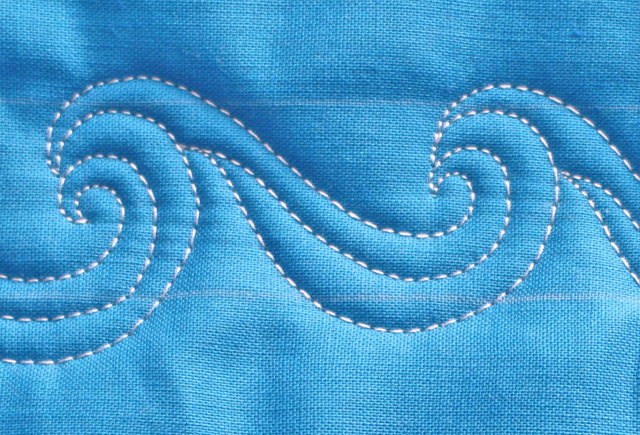 Later in the summer, we will work on several nautical-themed motifs and we will meet The Wind’s cousin, The Wave. Tune in tomorrow– we will discuss the importance of contrast in design. Thank you !!! Is there somewhere that all the Tuesday Tutorials are? ma è cucito a mano o con la macchina? Almost all of the quilts shown here are quilted by machine. 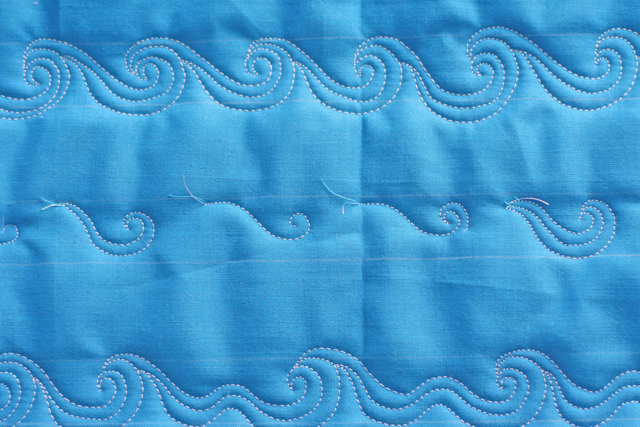 Many of the motifs could be modified for hand quilting. Love the WIND!! Cannot find the Wave, though. I think I will use this as a water theme in the border of a baby quilt we are making for our rowing (crew) coach.. Thanks so much!! This looks doable for a non-professional machine quilter with a home machine. Just found you on Facebook and am LOVING your tutorials! Can’t wait to give them a try! I have a Nolting Fun Quilter but am self-taught and have done roses, and some swirls, stars, etc., but this opens up a whole new world for me. Thank you for your generous sharing!